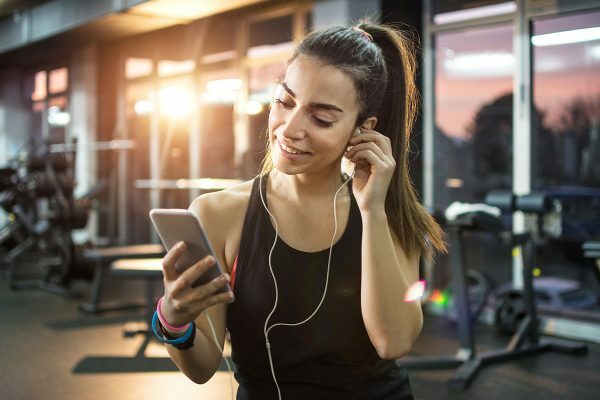 Whether you’re looking to lose weight or blast fat—or even simply get fit and healthy—you probably focus on crushing calories throughout your workouts. Doing so will boost your metabolism and help you reach a caloric deficit (aka you burn more calories than you consume). Over time, that’s how you shed pounds. The thing is, trying to torch a ton of calories in one workout can seem overwhelming. But tackling 100 calories at a time? Now that’s pretty doable—and not very time-consuming. We asked Aaptiv trainers Kenta Seki and Rachel Mariotti for the best ways to burn an extra 100 calories a day. Follow their tips whenever you have a few minutes to spare. The more strategies you put into action, the more you burn. Simple as that! If you know you have to make an important phone call or you’re in need of a catch-up with a friend, take it outside. 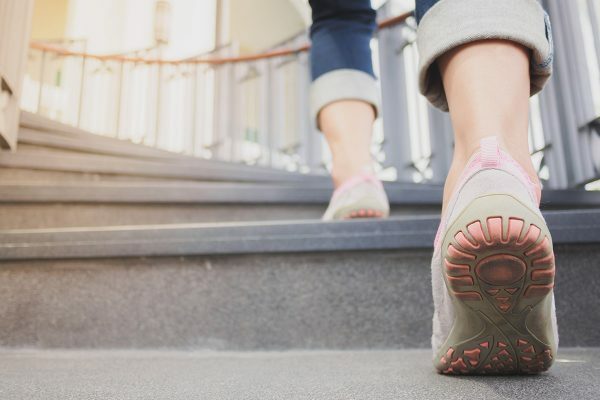 Not only will some outdoor action boost your mood, but a 35-minute phone call (along with the stroll) will also easily burn 100 or more calories, says Seki. You may have heard this before, but it really works. Don’t park right next to the store or restaurant you’re visiting. Instead, pick a spot that requires a couple minutes of walking. Similarly, if you take the train, get off a stop early. “The average person burns one calorie for every 20 steps, so that extra distance can add up to a lot of burned calories,” Seki says. You just have to make it happen. Only have ten minutes or less? That’s the ideal amount of time for a quick cardio set. Mariotti suggests doing seven minutes of 30-second sprints, followed by a 30-second jog. (The exact number of calories you burn will depend on your intensity, she says.) Opt for 8-10 mph for the sprint and 4.5-6 mph for the jog, if you can. Another option: Go for a 1,200-meter row straight to the finish. No, we’re not talking laundry. If you have a car, instead of going to the drive-through, wash it yourself. You could burn more than 150 calories by taking 30 minutes to hand-wash your whip, Seki says. Two birds, one stone. Kettlebells serve as a great tool to turn up the calorie burn. Mariotti recommends doing about seven sets of 15 kettlebell swings, with 30 seconds of rest between each set. Try to grab a bell that’s 30-40 percent of your body weight. Not feeling swings? Alternate ten goblet squats with ten kettlebell deadlifts for ten sets instead. You’ll feel these all over. You may love to hate the burpee, but it’s an easy way to blast through energy. Seki says just one minute of burpees can burn an average of ten calories. Do ten minutes of them, and you crush 100 calories! You don’t have to do them all at once, either, Seki says. Try completing just one minute every hour at work (and when you get home to finish out the sets). “This can also keep your energy and focus levels steady,” Seki says. If you’re walking or running on a treadmill, up that incline—or find some hills outside. 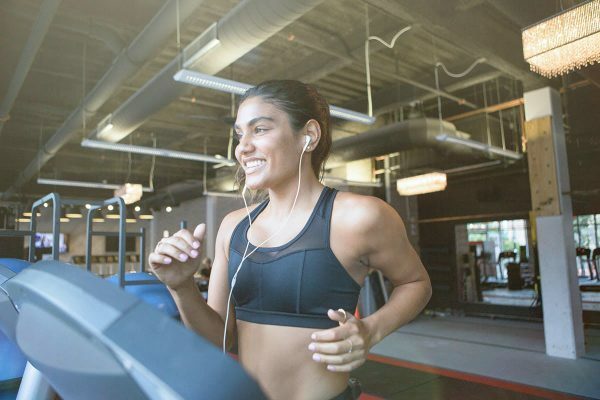 “Each time you increase your incline by 1 percent, you can potentially increase your calorie burn by an additional three to five calories per minute,” Seki says. In 20 minutes, you can burn 100 cals just by taking things up a notch. A super-fast HIIT workout is sure to blast at least 100 calories. Mariotti suggests doing 30 box jumps (you can jump up onto your couch, too) and 30 wall balls with a 15- to 25-pound ball. Your heart rate will skyrocket, right along with your calorie burn count. It’s easy to burn a few extra calories per day just by adding more movement into your schedule. Add these easy tactics to move even a little bit more throughout the day. Your body will thank you! You’re stretching, which is great, but are you doing it correctly?